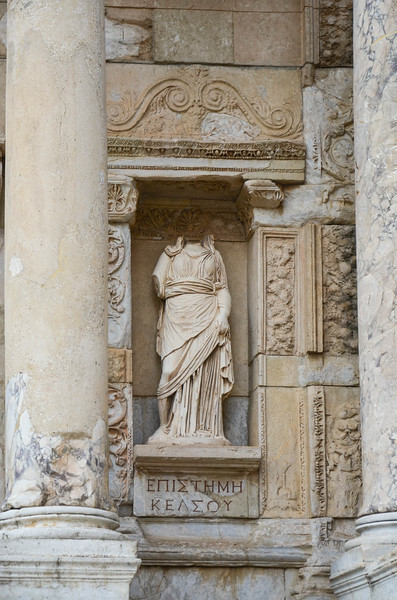 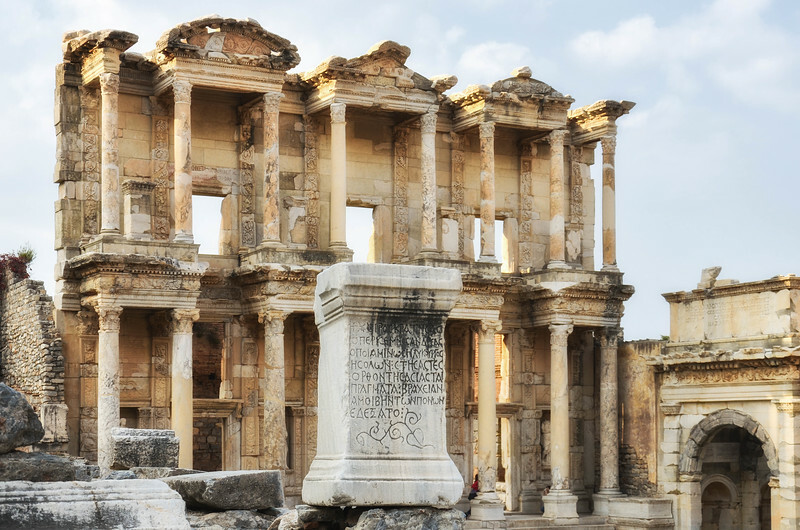 The Library of Celsus and Gate of Augustus. 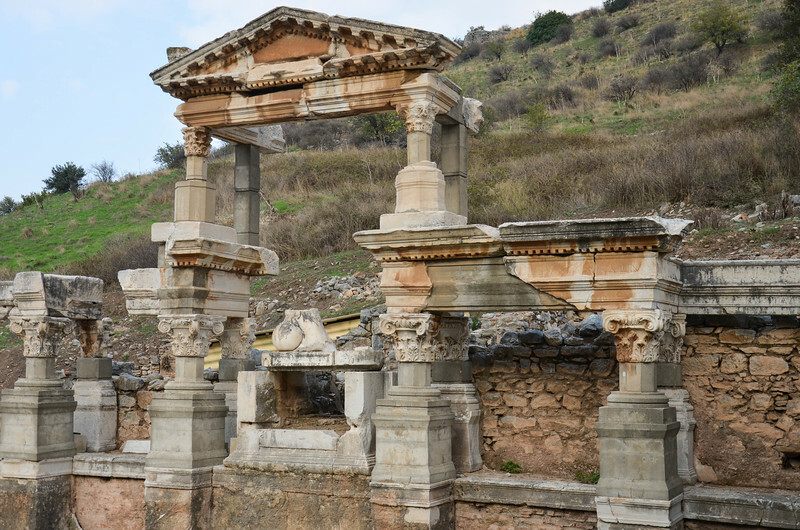 Souvenir shops outside the entrance gates to Ephesus. 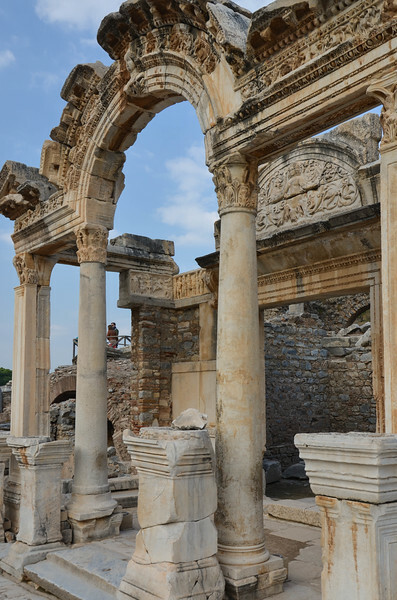 Most of what they were selling was pure junk. 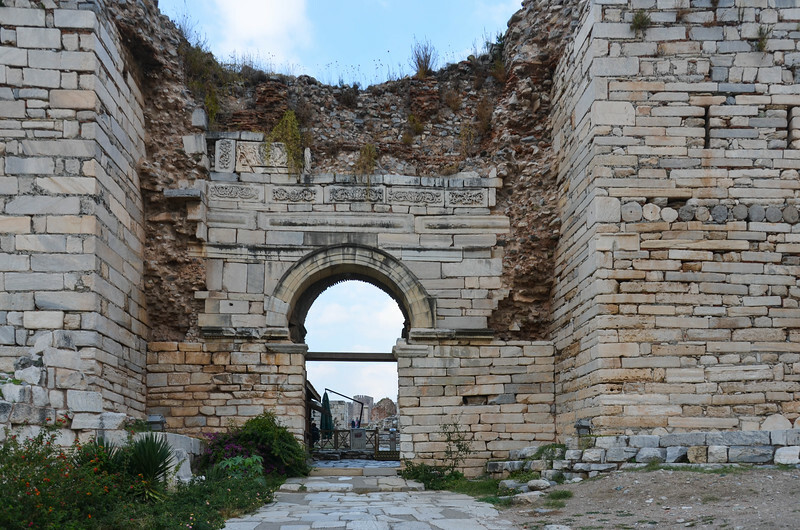 The ruins of the entrance to the Basilica of St. John. 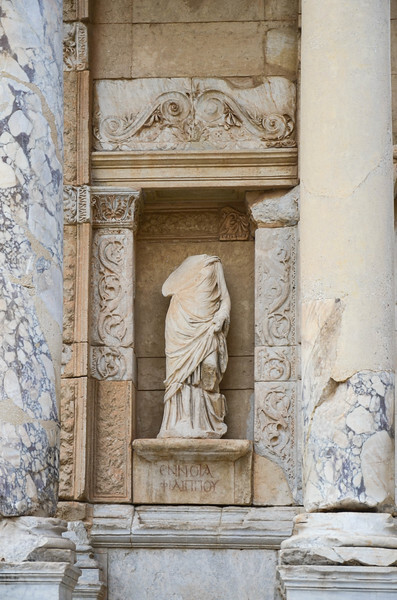 The grave of St. John. 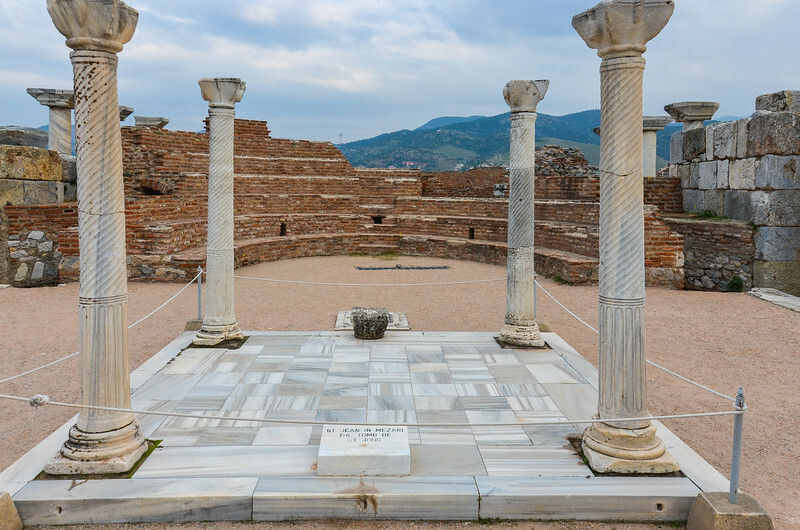 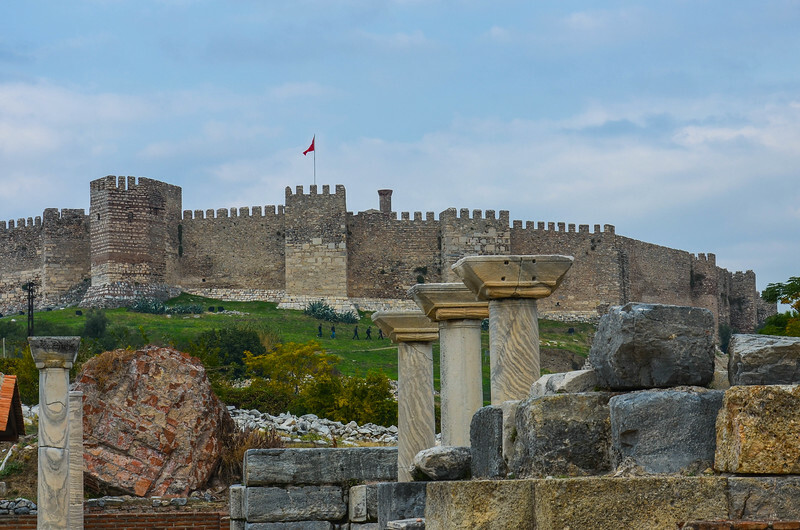 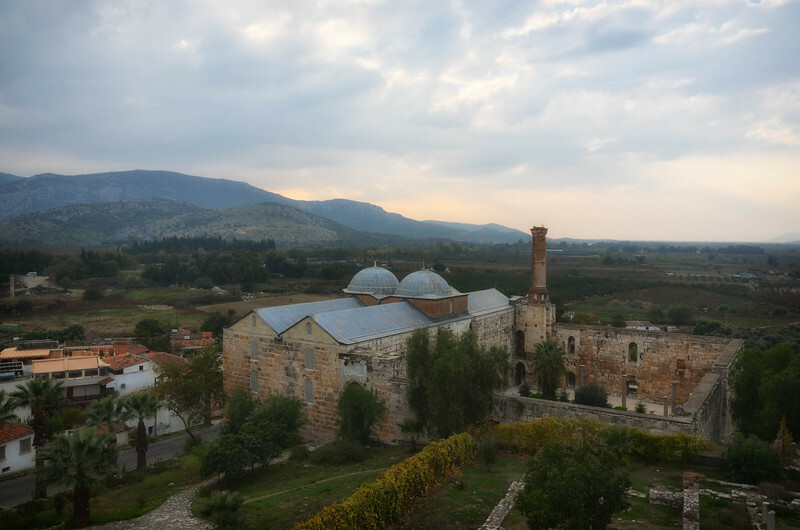 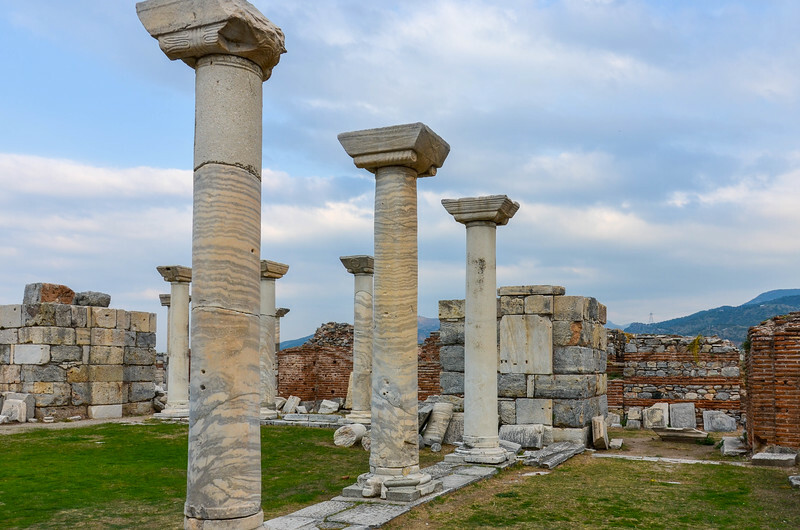 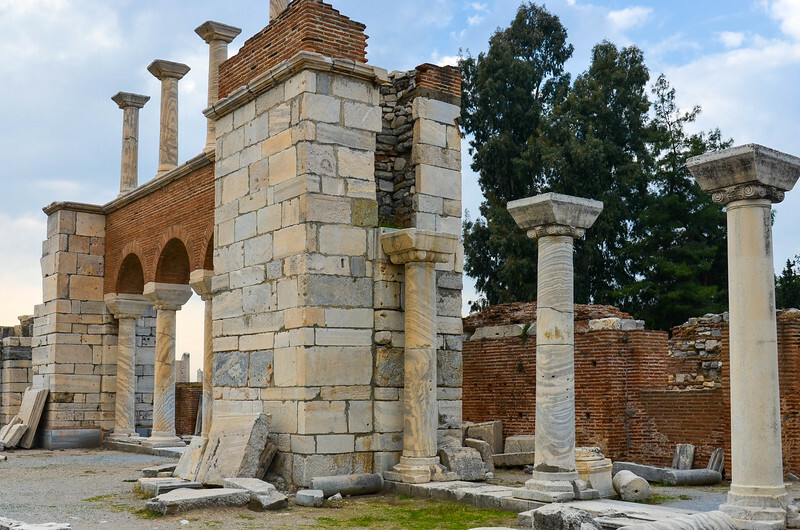 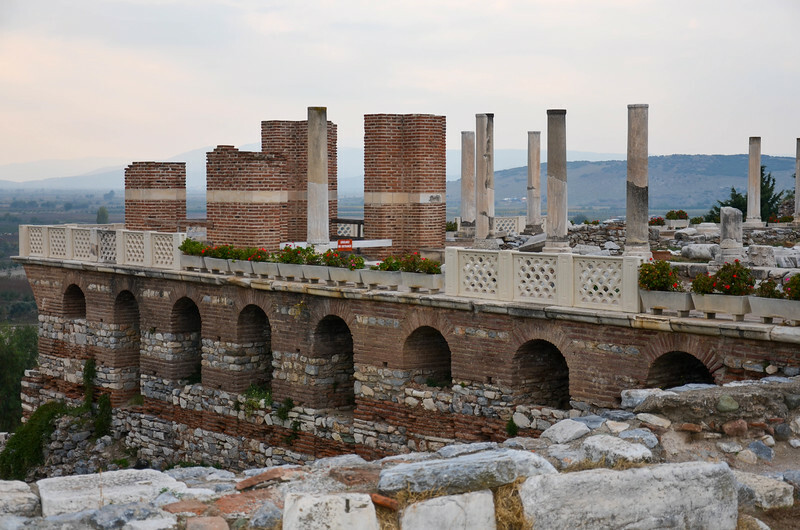 The Basilica of St. John and the Fort of the Crusaders, Ephesus. 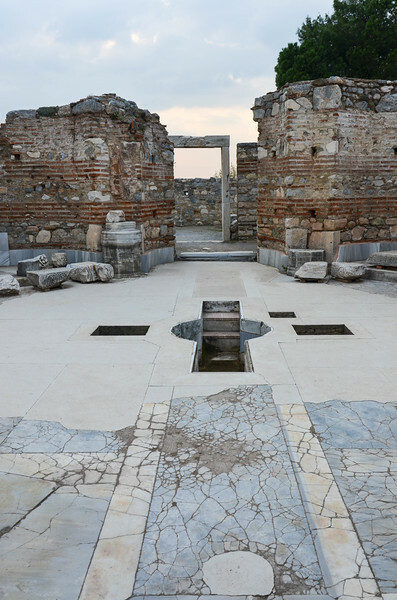 Baptistry in the Basilica of St. John. 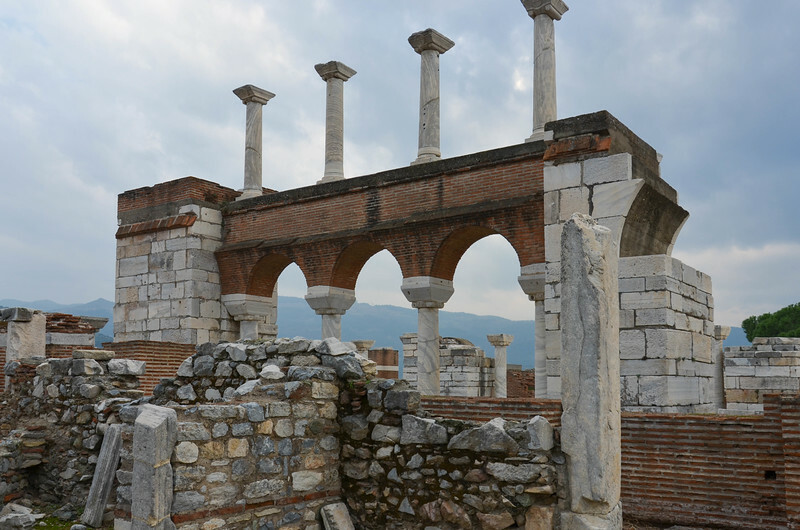 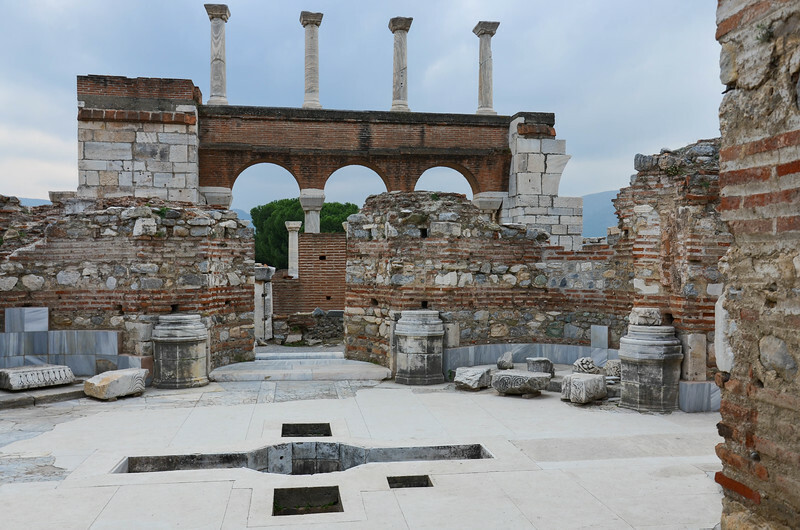 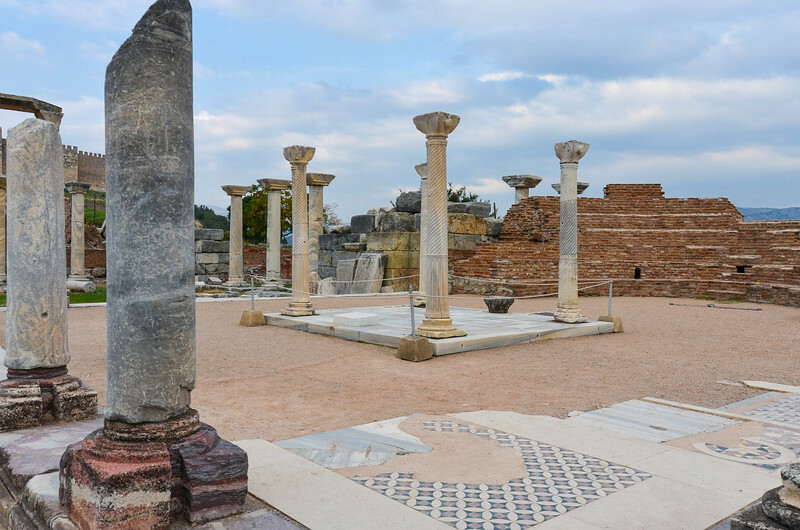 A view toward the main Ephesus site and Agean Sea from the Basilica of St. John. 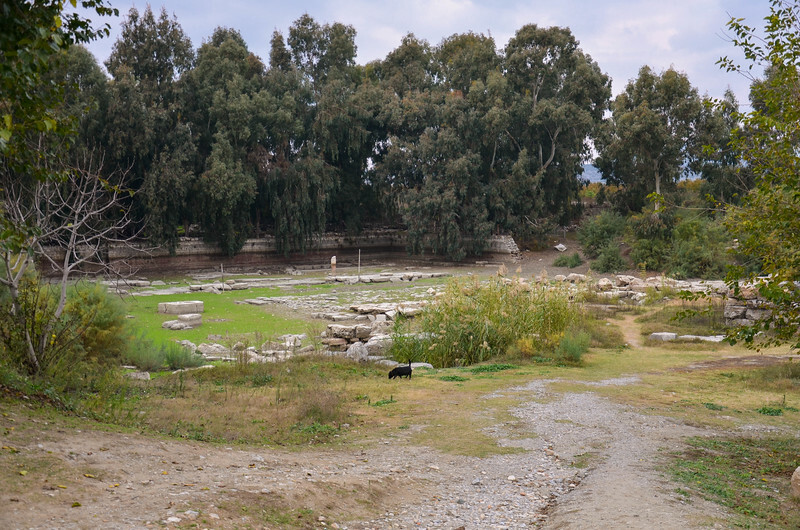 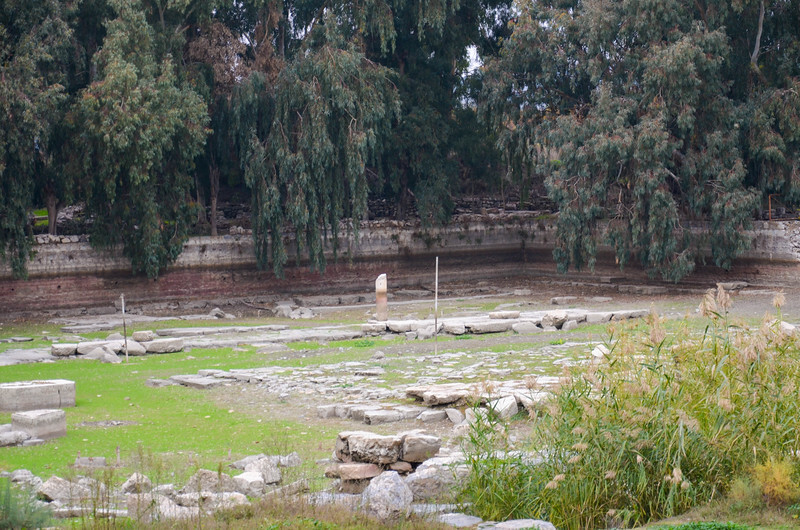 The site of the Temple of Artmeis is marked by the single white column in the distance on the left side of the photo. 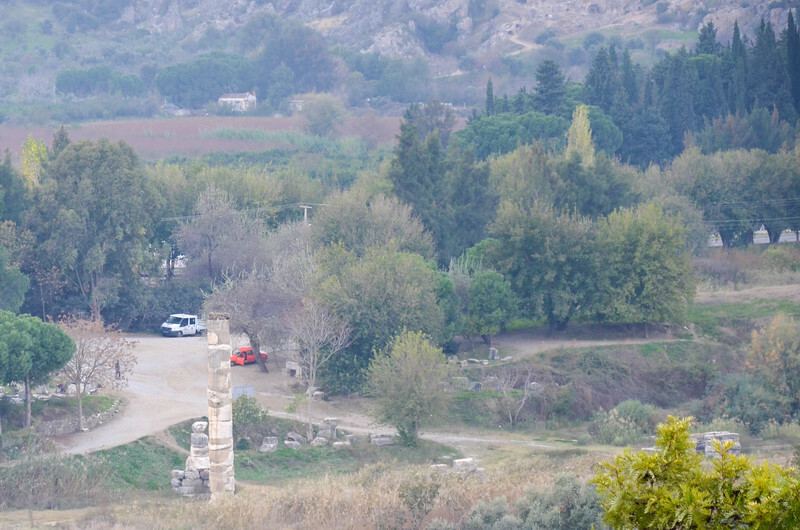 The Temple of Artemis site, as seen from the Basilica of St. John. 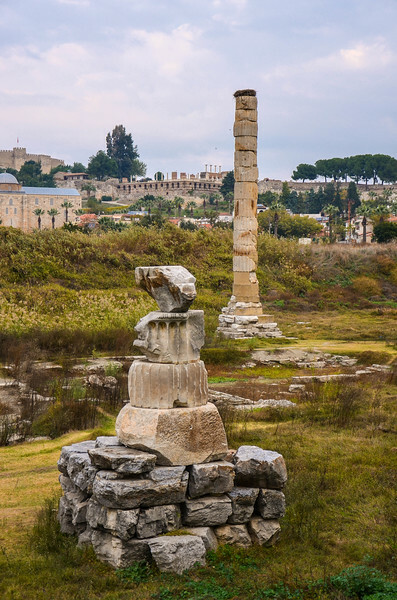 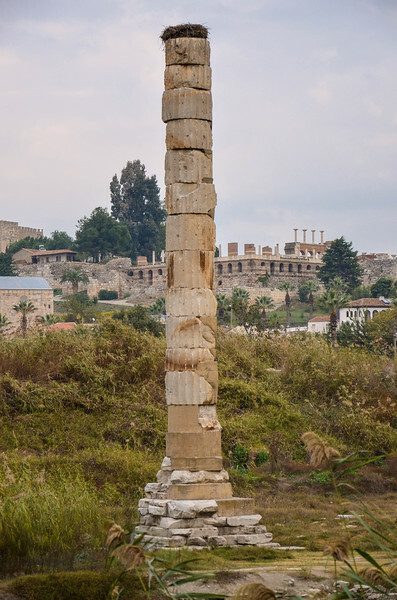 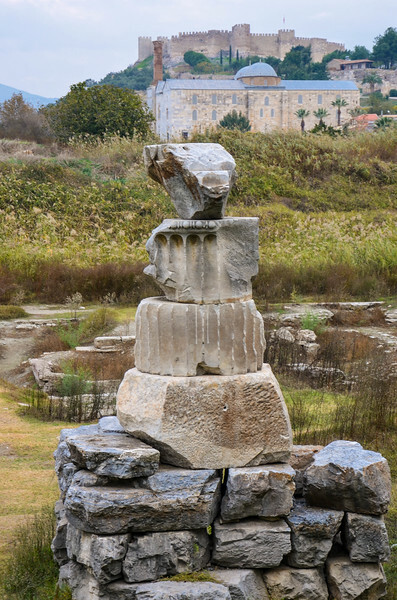 The site of the Temple of Artemis.